I took sometimes to write this post. Not because I was not happy about my (several) experiences at Culturando – I was, indeed – but just because as Oscar Wilde used to say “When I like people immensely I never tell their names to anyone. It is like surrendering a part of them. I have grown to love secrecy”. It is really like that. I like Culturando event on Sunday – Aperitivando – so much that I am scared to spread the voice it is a lovely place and find it so packed next time I could not catch my usual corner. You know how I like concluding my weeks with a couple of glasses. And I already talked about my frustration of not finding enough lively places in Luxembourg City on Sunday evening. 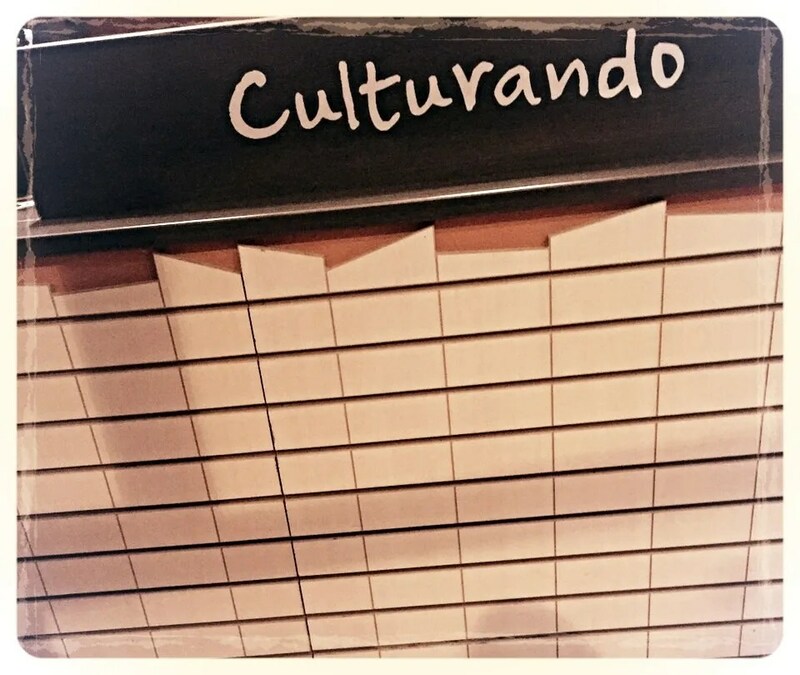 Culturando is now a kind of a bullet point to check each end every week, you never get bored. 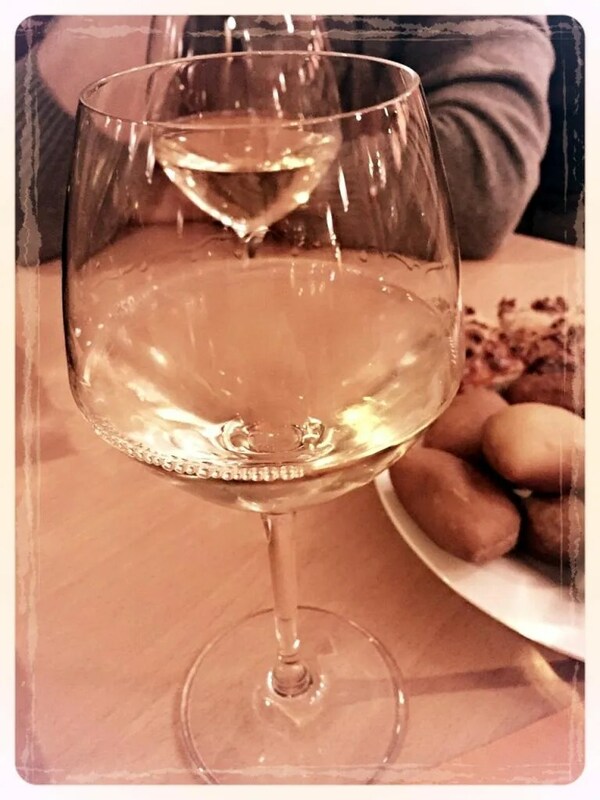 – Lovely Italian wine at fair price. You can go with several different glasses, 5 euro each, or ask for the bottles list. Guys working there are extremely competent and will be able to suggest the wine going along with your mood. We went for Fiano this time and I could not be more satisfied. – Amazing food, really. I am not the kind of person taking advantages of aperitif buffet but everything was soo delicious we had three rounds in two people. 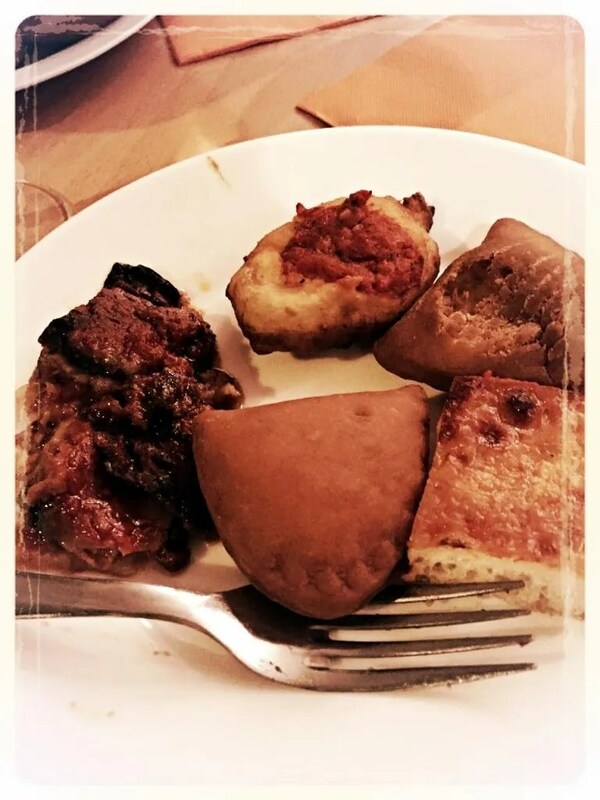 Panzerotti with mozzarella and tomato were heavenly, arancini with radicchio to die for. 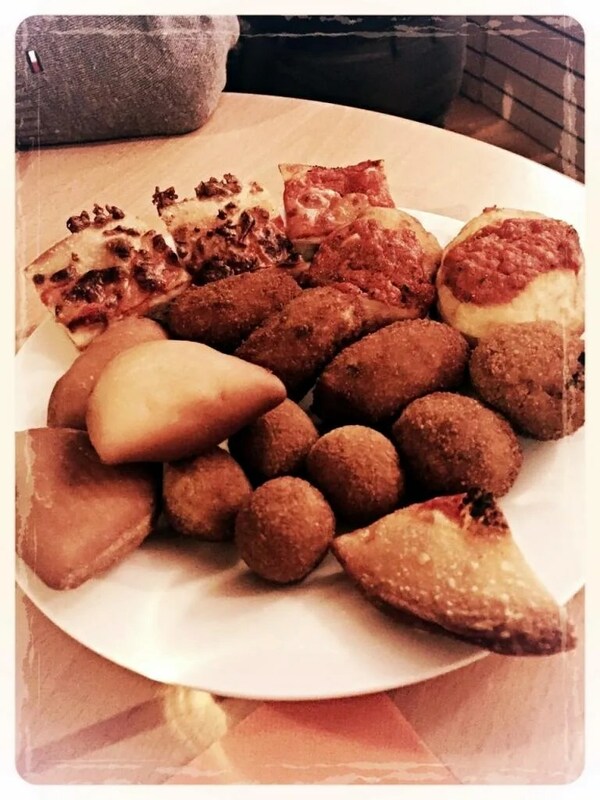 You have also lasagna, veggie quiche, rice cake, pizza, olives… you start saying: “I will give a try” and you will end up conveying: “I will not have dinner at home tonight”. – Cool music and people. The atmosphere is pleasant. If you are not looking at the snow landscape outside, you could think for a moment to be in some lovely wine bar at Colonne, in Milan, or in Trastevere, Rome. There are a lot of tables, so most of the people are seated and you don’t have to queue for drinking or eating – highly appreciated. You know, I feel pretty old and I really don’t like over packed situations. Culturando is relaxed but always well animated. – Last thing: it is a bit out of the city center chaos – just next door Utopia cinema – but easily to get. You can take bus n. 3, stop Henri VII, and you don’t even need to be bothered looking for a parking – but if you want, Glacis is less than 3 minutes walking. 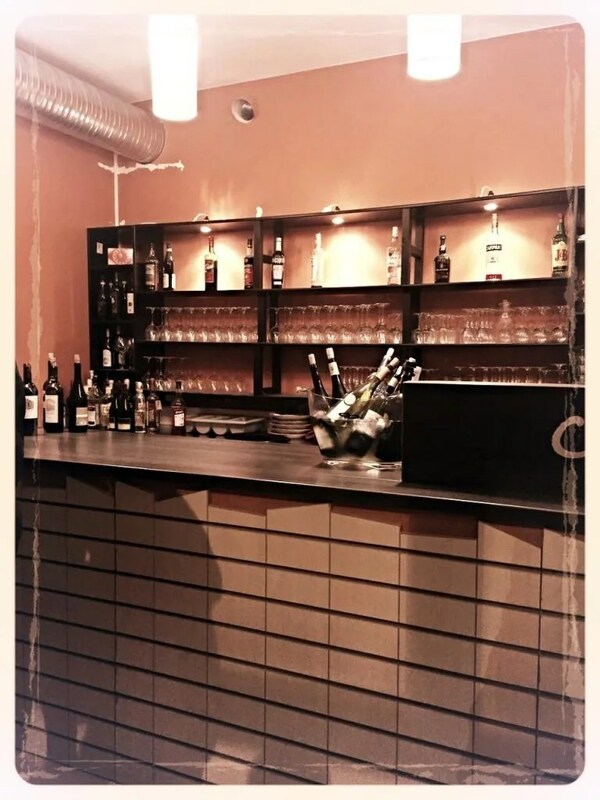 Culturando is also open during the week if you want to have a glass with friends or for a cozy Italian dinner. Next > Saint Valentine: what to do in Luxembourg? Thanks as usual for commenting! Now the secret is out! 🙂 From your description it sounds like a really cool place and if I ever happen to find myself in the area on a Sunday evening, I’d consider checking it out. Can`t wait to check this place out! The aperitif looks delicious! Small correction: it is HenrI VII, not XII . Thank you for the post. Oh many thanks, I have corrected it!